Online OTP aadhaar linking– Hi Guys, welcome back to avjtrickz. We Have Already Posted about Link Aadhaar with mobile number offline Method. Now here is another online OTP based verification method to link your aadhaar and sim cards. Read the full post to know more about it. 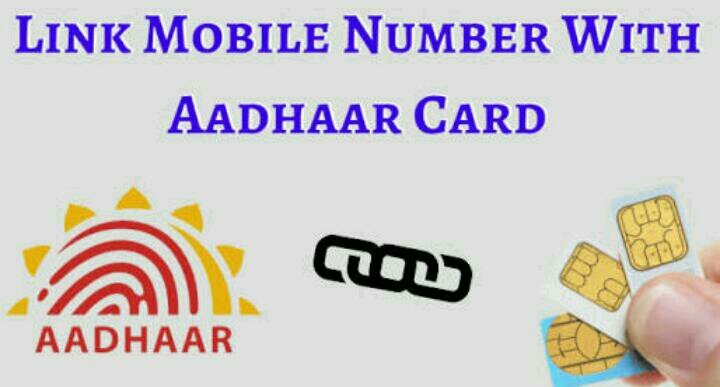 Aadhaar Card link with mobile number is Mandatory now a days as You Have Already Seen The Telecom Operators Like Airtel, Vodafone, Jio, Idea Are Daily Sending The Alert Messages To Link Aadhaar Card With sim numbers. If You Haven’t do it till now, Then You Don’t Have To Worry. Now, Govt. Of India Has Sent New Notification To All The Telecom Operators To Verify & link Aadhaar with sim using OTP (One Time Password). From December 1st You Can Link Your Mobile Number With Aadhaar Card Using The OTP, Whole Process Will Take Just a few Minutes. You Will Be Able To Link The Mobile Number Sitting At Your Home. You can also Read offline methods. Peoples Are Living in the Different States. Those Who Are Handicapped Or Unable To Walk. For Those Customers Where Shop-Kippers Asking For Money. So, Not Wasting Your Much Time, Today I Will Show You How You can Link your Aadhaar Card With Mobile Number Using The OTP. How to edit name, address, Mobile Number etc on Aadhaar Card Online?